Achieving the best audio quality comes down to a few factors. This article talks about the first of these 4 factors - the cables. Having and using the correct cables is important. This is only useful if you have surround sound. (An amplifier and 5.1 -7.2 speaker system). What are the best material sources of audio? To get the best audio quality, the material source is very, very important. All those downloaded mp3's only sound as good as the KB ratio and the quality of the recording and/or copy & duplication. What's involved with speaker and amplifier calibration? To get the best audio quality, speaker and amplifier calibration is one of 5 basic factors that needs to be addressed. Speaker and amplifier calibration is as you can see, best done by a professional. 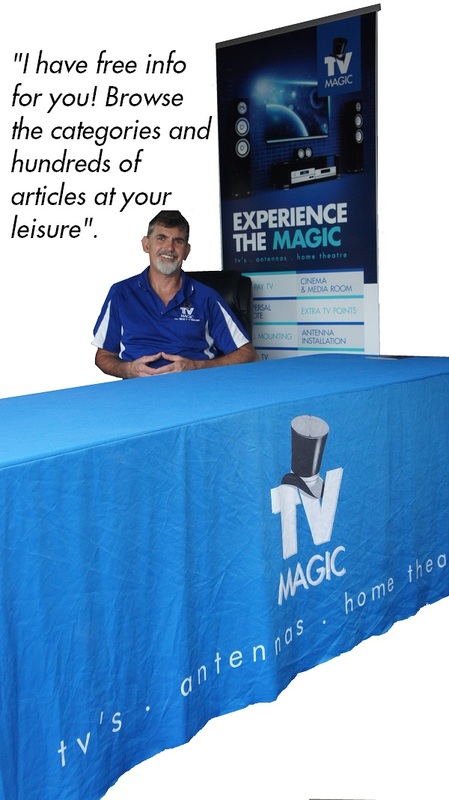 Tv Magic has tv technicians who specialise in this area of expertise. We can come to your home/office/business to calibrate your lounge-room system right up to multi zoning commercial systems used in pubs & clubs. The difference of having these settings done by someone who knows what they're doing makes all the difference. You will actually enjoy your surround sound for once! And if you already do, we are always able to improve the audio quality by that much that we have customers saying "OH! that sounds way better! ".